What’s the First thing that comes to your mind when you think about Cheap home fitness equipment? Treadmill, Bike, or maybe even a multi gym. what normally doesn’t come to mind is home fitness equipment such as a step up board. 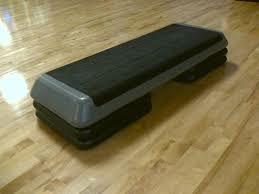 What I mean by cheaper, is smaller fitness equipment, items such as step-up boards and ab-rollers. the good thing about going down the cheaper route, there really easy to store, will not break the bank and still give fantastic results. I am going to give six of my personal favorites, that I know will give you top results without breaking the bank. One ball so many names, stability ball, yoga ball, swiss ball, fitness ball, physio ball and much more, It doesn’t matter what you call it, it just matters that you have one, you can work your whole body with this one piece of fitness equipment. Before you rush off and buy one it’s important that you buy the right size stability ball, see below for a basic guide to the right size for you. on this occasion size really does matter. This brilliant piece kit will help you melt away the fat, using your leg muscles is fantastic at burning calories due to the energy needed to fuel them. I use the step up boards to raise my heart rate through HIIT. The added bonus of step up boards is you can adjust the difficulty by raising it (some don’t have this option) you can also combine it as a weight bench to work the upper body. Another good function of the step-up board is you can use it to work your upper body through press ups, if you can’t do any press ups yet, that’s fine it will help, instead of putting your palms on the floor you simply put on the edge of the board, if you can do press ups already then you can make it harder by placing your feet on the board and this will add more resistance. Click this link to buy your step up board now! One of the best all round conditioning fitness items you are going to get. commonly known as a skipping rope, they come in all different varieties such as weighted, speed, plastic, leather and ones that even count your skips. I use a jump rope every time I work out, I use it to either warm up or finish a session off, believe me, it gets your heart rate pumping, the only downside to this is its unlikely your going to be able to use it indoors unless you have a really high ceiling and lots of space. The Jump rope is not expensive at all, however, I do recommend to buy a half a decent one because if you try and save a couple of quid then you will only have to buy another one, I prefer speed ropes rather than the weighted ones, look at it this way there’s a good reason boxers use jump ropes. Click here to see what jump rope I use. TRX is more costly than the previous items listed and there are cheaper alternatives, however, I used a cheaper alternative and it snapped on me resulting in a very embarrassing face plant, I will not slate what brand it was but it was a well-known brand. Most Gyms use TRX for a reason, Although initially a bigger outlay they will last and will support you if you’re carrying extra weight, TRX is the pioneers for suspension training and brought this exercise equipment mainstream. All you need is a doorway and your own body weight, using your own body weight you’re never going to get massive so if you’re worried about developing big muscles. Don’t go for the cheaper alternatives, buy TRX by clicking here you also get a guide how to use it. Kettlebells are great around the home, there small and easily stored, they are small but they are definitely mighty when it comes to burning fat and promoting lean muscle, basically your killing to birds with one stone not only will you lose weight but you will look great. It’s hard to become tired of using kettlebells as they come in a variety of sizes so you can push yourself constantly, the variation of exercises will keep you coming back again and again. I saved this one for last as this one will cost you NOTHING If you want to lose weight move more! put down the video game, phone, tablet, or whatever else your using that’s “more” important than your health. There is so much you can do without equipment, HIIT is always the best place to start, the quickest way by far to burn calories and torch stubborn belly fat. Start off by sprinting on the spot for 5 mins a day anything is better than nothing. You don’t have to break the bank or go to a gym to lose weight or get fit, cheap home fitness equipment is just as good, as long as you purchase the most effective, there is literally thousands of items to choose from some not so good some really good. The five I have picked for you are my personal best and WILL get results, you just have to be motivated to use them, motivation is the key to working out at home as there are so many distractions, if you do find it hard to workout from home and lose weight just click here to find out if you should join a gym. Basically, you could purchase all these items for under £200, some as little as £10 when was the last time you invested in YOU. Great list of cheap workout equipment. Some of these items can be substituted with items around the house without cost as you state in the step up board. You don’t have a picture of the Kettlebells and I don’t know what the are. Can you explain or are they like a dumb bell. Getting up and moving is the best statement that will work. Click this link to see what kettlebells are Some people just cant afford to buy in to gym memberships so thiese items are fantastic. I totally agree with you. One does not need to have a ton of bulky equipment to work out from home. Love the idea of the TRX bands. I use them at the gym and they can be so effective. For many muscles. I have a kettle bell and I use it almost every day. It can help work out your legs, shoulders and abs. And I would add a Bosu ball too. It works your core, your balance. Easy to store away and so easy to use. I love doing push ups on it! Bosu Balls are really good for engaging stabalising muscles and core, you sound like a real enthusiast Emily, spoke to you a few times now. are you training for any thing specific? Great recommendations for cheap home fitness equipment. 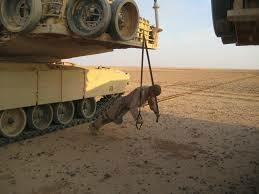 I’m all about using my own body weight for exercise. This is where the gravity bar comes of great use for me. The kettlebells are new to me and after watching the demonstration video on the other page I was impressed. The exercises were awesome like the extended chest press. Sooo simple too! Might have to try out the kettlebells. Hi Damien, you wont be disappointed with kettlebells, I am a big body weight fan aswell give a really good physique. What kind of training you doing?